No matter what Armenians do, they are often influenced by their roots. This could easily be said for Alan Hovhannes, a famous American composer of Armenian and Scottish decent, as well as for his friend, the well-known pianist Şahan Arzruni. 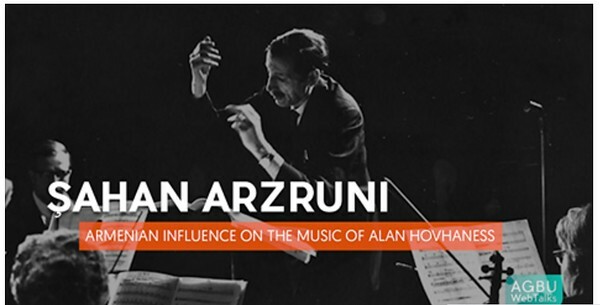 In a recent AGBU WebTalk, Arzruni reflects on the Armenian influences of the unique musical compositions of Alan Hovhannes. You can enjoy the talk here. A very talented musician and great philanthropist, Sahan Arzruni for years has supported FAR’s Vanadzor Old Age Home through the Kevork and Sirvart Karamanuk Foundation. The AGBU WebTalks online video series aims to capture and preserve the insights of engaging, dynamic thinkers from around the world on a wide range of Armenian topics.